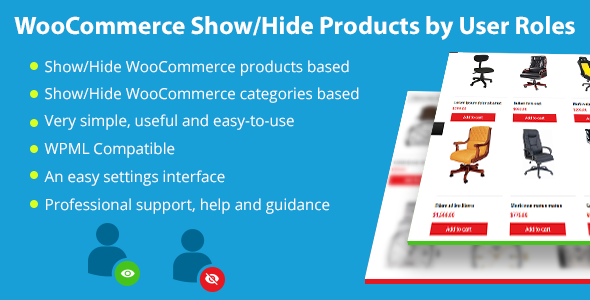 The “WooCommerce Show/Hide Products by User Roles” plugin extends the popular e-commerce plugin WooCommerce to show products catalog based on user roles. This plugin allows you to control the visibility of WooCommerce Products on an individual role basis. Upload the `woo-products-by-user-roles` folder to the `/wp-content/plugins/` directory. 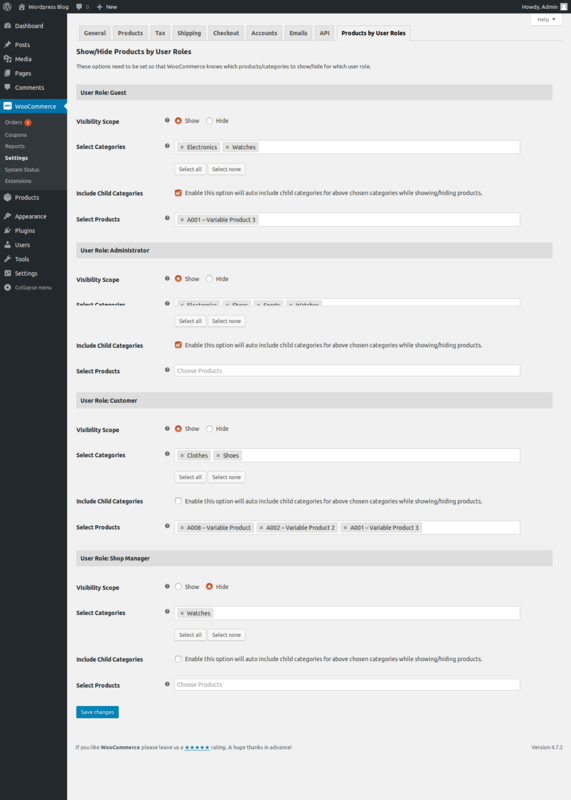 Visit the “Dashboard >> WooCommerce >> Settings >> Products by User Roles” Menu.